My friend Jeremy delivers a local newspaper paper in Fort Collins Colorado by bike. He has made some friends who also work on the paper that enjoy cycling, and some of them enjoy cycling to the foothills and camping, this is called bikepacking! The thing is, Jeremy has a hip issue and Crohn’s disease. His intestines are regularly inflamed and this limits the level of physical activity that he can endure. Many of their bike camping trips last an entire weekend, and each rider has to haul their own tent, sleeping bag, rain gear, food, and water. So, Jeremy hasn’t been able to go bikepacking with a traditional bike. One day, Jeremy mentioned that his friends planning another camping trip and he was curious if I had an extra electric bike that he could borrow! Nope, I did not… but I reached out to my friend Tom Wilson at Small Planet EV in Longmont Colorado, asking whether he could loan us a bike or sell a unit cheap. I asked if he had any mountain bikes with smaller frames since Jeremy is 5’6″ and 155 lbs. We were in luck! Tom had a 2016 Felt LEBOWSKe that he would sell at cost to help us out. I bought and donated the bike to Jeremy because his entire life is spent on a bicycle and this would also help him to deliver newspapers more easily! 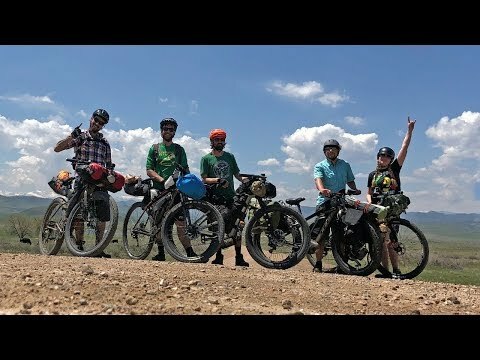 So, Jeremy and five friends spent a weekend riding 92 miles into Northern Colorado. They actually cycled the entire way from Fort Collins.